The Tennessee and North Carolina Smoky Mountains offer year round outdoor fun for people of all ages. Touring the Great Smoky Mountain National Park by car or motorcycle. Hiking and mountain climbing on hundreds of trails in and around the Smokies. Fresh Water fishing in the many streams, lakes, rivers and ponds throughout the Smokies. Horseback riding in the National Park, Tennessee and North Carolina State Parks, national forest and private property. Biking in selected areas of the National Park and all of the surrounding towns. 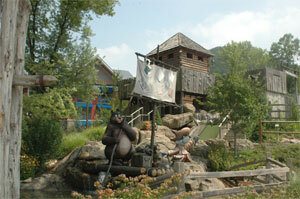 Outdoor amusement parks such as Dollywood, NASCAR Speedway and other amusement parks in the Smoky Mountains. White Water Rafting in up to Class IV and Class V rapids. Tubing down rivers and streams in the Smokies. Ziplining, Rock Wall Climbing and Adventure. Hunting on both private land and in some of the parks. Golfing in the Smokies has become incredibly popular with some of the most challenging courses in the country. Why not play golf with the Smoky Mountains as a backdrop? Skiing, snow boarding, and snow tubing can be enjoyed in Gatlinburg and Maggie Valley. 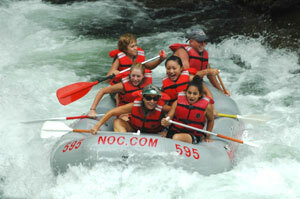 Boating, kayaking, and canoeing in the rivers and lakes in the Smokies. Roller blading and skating which is especially fun in the numerous local parks in the Smoky Mountains. Football, basketball, softball, baseball, whiffle ball and soccer are played throughout the local parks in the Smokies.